It is a good idea to regularly create WinAMP backup. Backup of WinAMP library, bookmarks and settings will save your time and prevent your important WinAMP data from loss. How to create WinAMP backup? 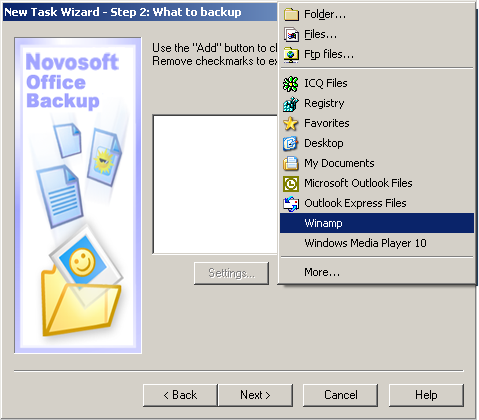 With Novosoft Office Backup you can automatically back up Winamp application, playlists, settings and preferences. click the Add button and select Winamp.